Oh, gardening girl, why are you so sad? Why, what has befallen you? Come, gardening girl, come, my love! Don’t stay sad — this world is all yours. You are much lovelier than the camellia that died. Carnival revelers in Rio de Janeiro, 1939. Image via Arquivo Nacional, Rio de Janeiro. “A Jardineira” was a hit in Rio de Janeiro’s Carnival of 1939, and has since proven an enduring popular favorite. 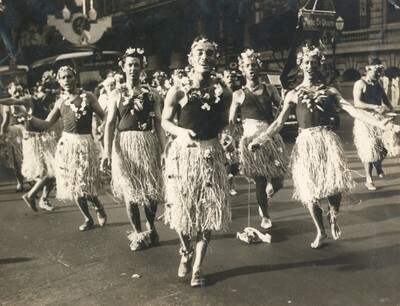 The song, a marchinha (a style described in this post), was recorded by Orlando Silva – “the greatest Brazilian singer of all time” according to João Gilberto – and it qualified for Rio de Janeiro’s official Carnival contest in 1939. Image via A História Vai ao Cinema. 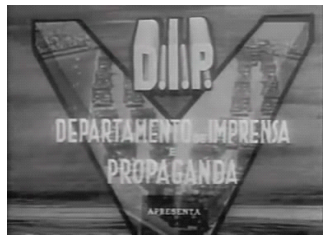 The Carnival contest was organized by the Rio City Council and the Department of Press and Propaganda (DIP),the most fascist agency in Getulio Vargas’s authoritarian Estado Novo regime. After the regime’s establishment in 1937, the DIP had taken control of many aspects of Carnival festivities and popular music more broadly. Also in the running for best marcha was “Florisbela,” by Frazão and Nássara, sung by Silvio Caldas. That year, organizers had decided the competition would be judged by popular vote, rather than a jury. Martins, Nássara, and Caldas saw an opportunity: they gathered famous friends around the entrances to voting booths to encourage arriving voters to pick “Florisbela,” perhaps in exchange for an autograph. Unsurprisingly, “Florisbela” won the marcha category, and another of Nássara’s submissions – the samba “Meu consolo é você,” composed with Roberto Martins and sung by Orlando Silva – took the prize for best samba.